Whether your children dream of sailing the world or just messing about on the water, the best time to learn to sail is when they are young, fearless and full of wonder. I remember my first day out on the water, drowning in my life jacket, nervously tugging the straps tighter as I stared at the Laser. My eyes grew wider as I listened to my dad telling me something about a boom and a tiller and giving me a rope to hold on to. Then we were off, water rushing by close enough to touch, the salt spray on my skin, the wind whipping my hair and a smile that lasted for days – I was addicted. 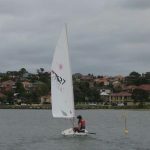 The best thing about learning to sail when you are a kid is that there are so many opportunities. 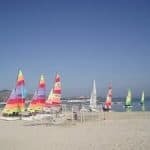 There are sailing clubs, high school sailing teams and holiday sailing camps to join. School holidays can be spent rigging up different boats and taking part in mini regattas. Even timid children quickly gain confidence, growing bolder with every challenge and adrenaline rush. 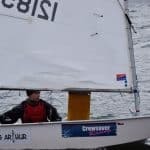 Teens can volunteer on larger keelboats and yachts, joining offshore sailing races and gaining sailing experience before getting formal qualifications. If your child dreams about sailing the world or working in the industry, learning to sail on a smaller boat is the perfect start. When their sailing experience starts off on smaller boats, their senses become more attuned to the ocean. They learn to tell the direction of the wind by the chill on their skin and feel the movement of the water running through the boat and down the lines. They gain technical knowledge by rigging up their own boats. They are taught to trust their instincts and keep calm if something goes wrong. They are encouraged to capsize and test their limits, learning while having fun. 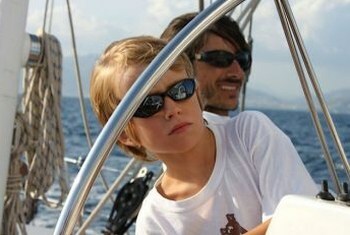 There are many fun ways to encourage your kids to enjoy sailing and there is no better way than learn to sail holidays. 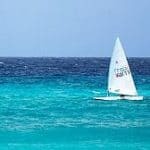 There are yacht charter options worldwide where you can either charter your own yacht or join like-minded sailors on a sailing adventure. You can choose to go island hopping in Greece or join an expedition, making new friends while discovering places like Tonga and Samoa. If you are looking for a true sailing adventure, choose a crossing charter. It’s the ideal combination of a few days of blue water cruising and island hopping. You will all discover the thrill of the open ocean while you watch dolphins frolic at the bow of the yacht and keep watch for the glimmer of land on the horizon. 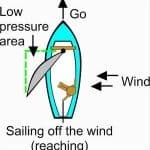 Why do people love to sail? There’s something addictive about being out on the water, it’s thrilling, intoxicating and addictive. The salt water seeps into your pores, getting under your skin and into your blood. 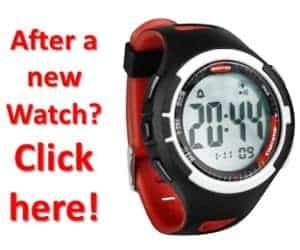 You are giving your child a gift. You are not only teaching them to sail, but also important life skills: patience, responsibility, self confidence and a deep love for nature. 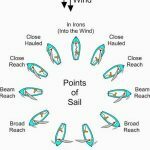 This article was written by Margot Jefferson, from Intersailclub. 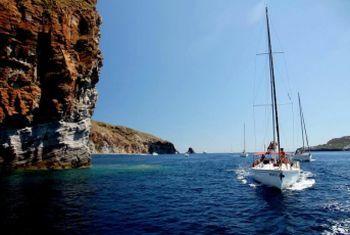 For more information on learn to sail holidays, please visit the official Intersailclub website.